Jason P. Capizzi serves as Bond Counsel to the Township of Weehawken. The Township successfully issued a $380,000 Special Emergency Note dated November 13, 2018 to Amboy Bank. The Note bears interest at the rate of 2.00% per annum payable at maturity on November 13, 2019. The Note proceeds will be used to refund $80,000 of a $120,000 Special Emergency Note (less $40,000 pursuant to a budget appropriation) that matures on November 14, 2018; and to refund $300,000 of a $400,000 Special Emergency Note (less $100,000 pursuant to a budget appropriation) that matures on November 14, 2018. Jason P. Capizzi serves as Bond Counsel to The North Hudson Sewerage Authority. The Authority successfully issued a $6,000,000 Project Note to the New Jersey Infrastructure Bank dated October 25, 2018. The Note bears interest at the rate of 0.00% per annum payable at maturity on June 30, 2020. The Note proceeds will be used to temporarily finance the Authority’s CSO Long Term Control Plan. Jason P. Capizzi serves as Bond Counsel to The North Hudson Sewerage Authority. The Authority successfully issued a $17,500,000 Project Note to the New Jersey Infrastructure Bank dated October 25, 2018. The Note bears interest at the rate of 0.00% per annum payable at maturity on June 30, 2022. The Note proceeds will be used to temporarily finance the Authority’s Adams Street PURAC – Phase 3 Improvements. 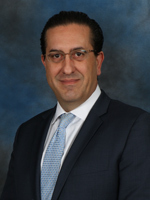 Jason P. Capizzi serves as Bond Counsel to the Township of Logan. The Township successfully issued a $3,352,000 Bond Anticipation Note dated October 22, 2018 to TD Securities (USA) LLC. The Note bears interest at the rate of 3.50% per annum payable at maturity on October 23, 2019. The Note proceeds will be used to refund $3,352,000 of a $3,976,250 Bond Anticipation Note (less $624,250 pursuant to a budget appropriation) that matures on October 23, 2018. Jason P. Capizzi serves as Bond Counsel to the Township of Weehawken. The Township successfully issued $8,620,000 Notes consisting of a $6,756,000 Bond Anticipation Note, Series 2018C-1A and a $1,864,000 Tax Appeal Refunding Note, Series 2018 C-1B dated October 4, 2018 to the Hudson County Improvement Authority. The Notes bear interest at the rate of 3.00% per annum payable at maturity on October 3, 2019. The Note proceeds will be used to refund $6,756,000 of a $7,043,000 Bond Anticipation Note (less $287,000 pursuant to a budget appropriation) that matures on October 18, 2018; and to refund $1,864,000 of a $2,176,000 Tax Appeal Refunding Note (less $312,000 pursuant to a budget appropriation) that matures on October 18, 2018. Winne Banta’s Khoren Bandazian represented Waypoint Residential, a Boca Raton, FL-based developer, in the acquisition from Holman Realty Associates of the property located at 437-439 Main Street and 445-451 Main Street, in Hackensack, for a combined $7.45 million. Waypoint plans to redevelop the properties into four stories of apartments over podium parking. The project will be Waypoint’s first midrise multifamily development in New Jersey. It is located within Hackensack’s special improvement district in the city’s up-and-coming downtown redevelopment zone. The project, known as Walcott Hackensack, will consist of 235 luxury units and is located two blocks from NJ Transit’s Anderson Street rail station. Khoren Bandazian will be the moderator of the 1st Annual Hackensack Development Summit, on September 20, sponsored by the Hackensack Main Street Business Alliance. Jason P. Capizzi serves as Bond Counsel to the Township of Weehawken. The Township successfully issued $6,537,000 General Obligation Bonds, Series 2018 dated August 30, 2018 to Roosevelt & Cross, Inc. and Associates. Moody’s Investors Service, Inc., S&P Global Ratings and Kroll Bond Rating Agency, Inc. assigned the Bonds insured ratings of “A2” (stable outlook), “AA” (stable outlook) and “AA+” (stable outlook), respectively, based upon the issuance of a Municipal Bond Insurance Policy by Assured Guaranty Municipal Corp. Moody’s assigned the Bonds an underlying credit rating of “Baa3” (positive outlook). The Bonds finally mature on August 15, 2038 and have a true interest cost of 3.7273%. The bond proceeds will be used to permanently finance a bond anticipation note maturing on October 31, 2018.